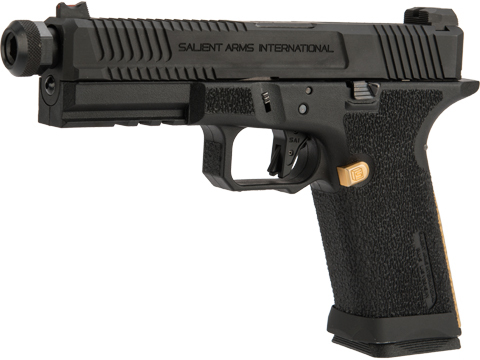 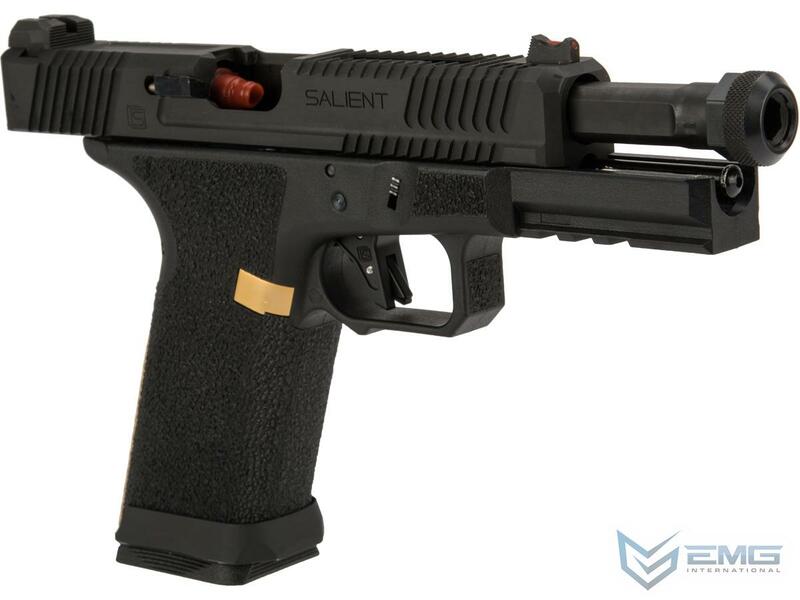 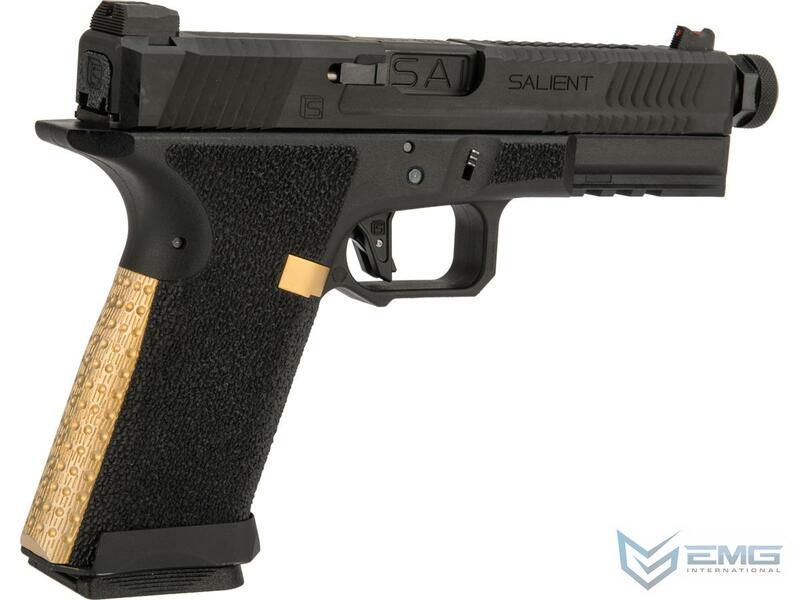 EMG has furthered their collaboration with Salient Arms International with the long awaited EMG BLU. 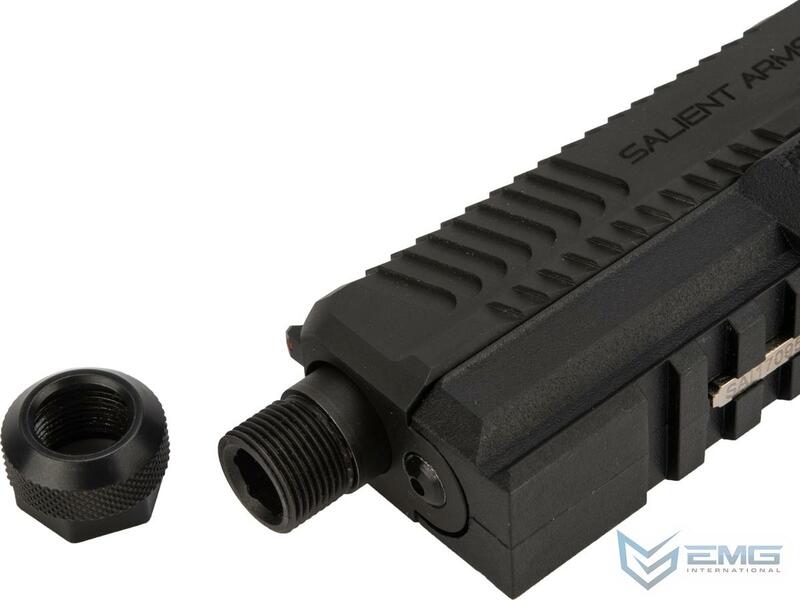 Designed closely with the geniuses at SAI and RA-Tech, the EMG / RA-Tech / SAI BLU is designed to be as close to the real thing as possible offering shooters and enthusiasts the most realistic training analog available. Featuring a durable polymer frame, machined steel slide and barrel assembly, the EMG / RA-Tech / SAI BLU not only looks like its real deal cousin, it feels like it as well. 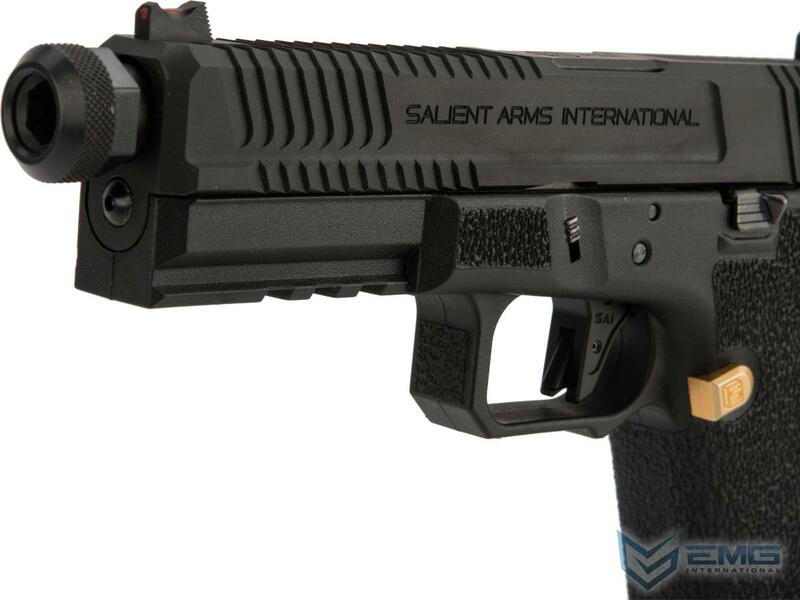 Authentic rollmarks and branding top off the look, making it almost impossible to differentiate the 6mm version, from the 9mm version. 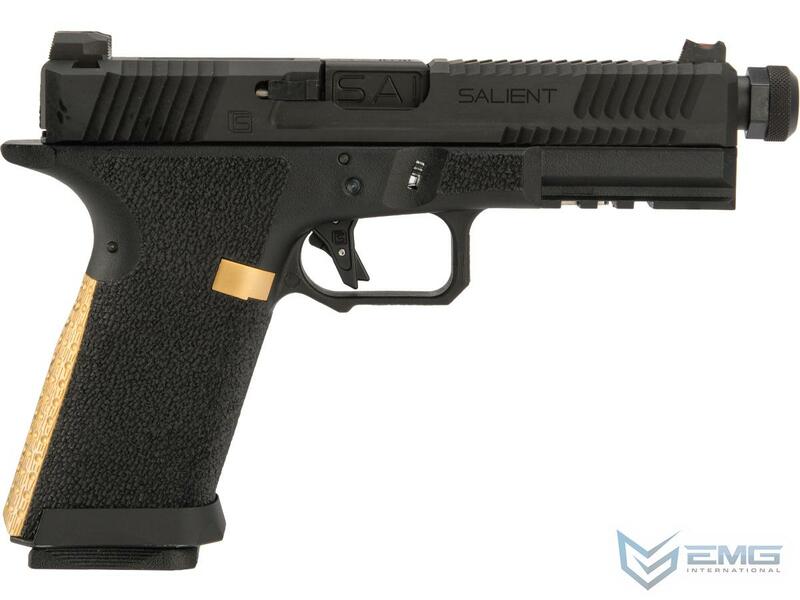 RA-Tech have performed a stellar job recreating the SAI BLU with a full steel slide and steel outer barrel. 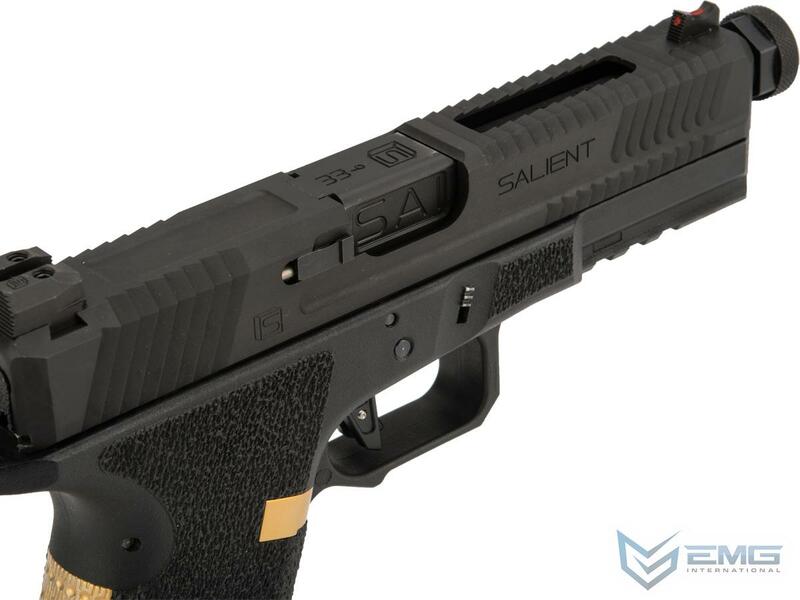 Featuring finely cut slide serrations, steel SAI sights, and a lightened steel outer barrel matching the real counterpart; the RA-Tech's attention to details makes this one of the best recreations of slide available. 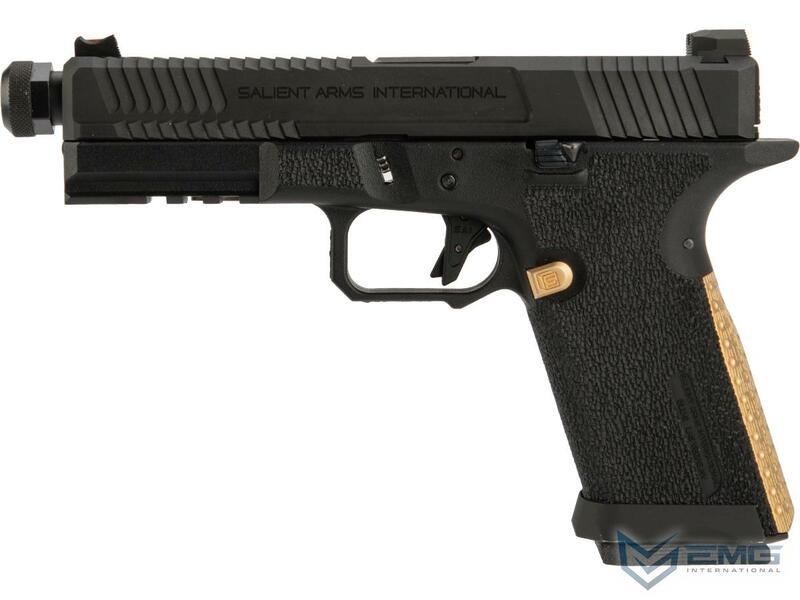 Manufacturer: EMG / RA-Tech / Licensed by Salient Arms International.